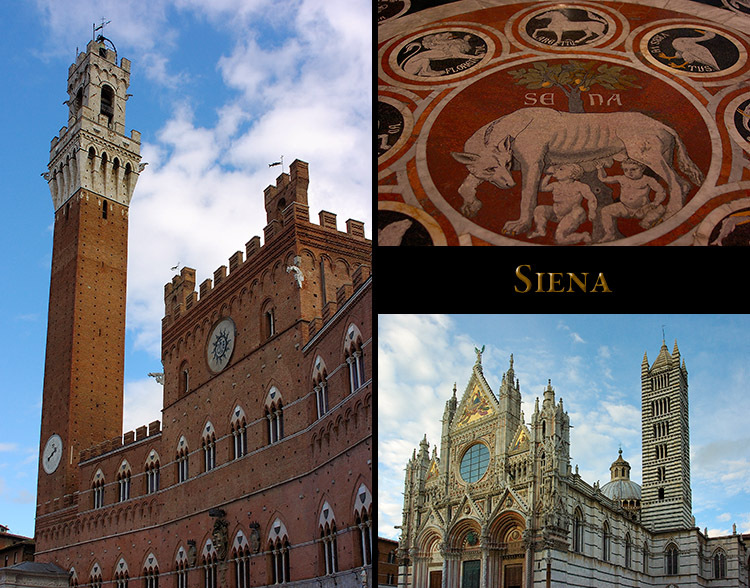 Siena was a city-state in the hills of Tuscany that was a major rival of Florence in the 13th century. created directly from the images prepared for full-sized output (which are available on Photoshelter). custom-prepared for use on this website can be identified by the larger text in the title bars. Images in this section are in three different Galleries on the Photoshelter website. 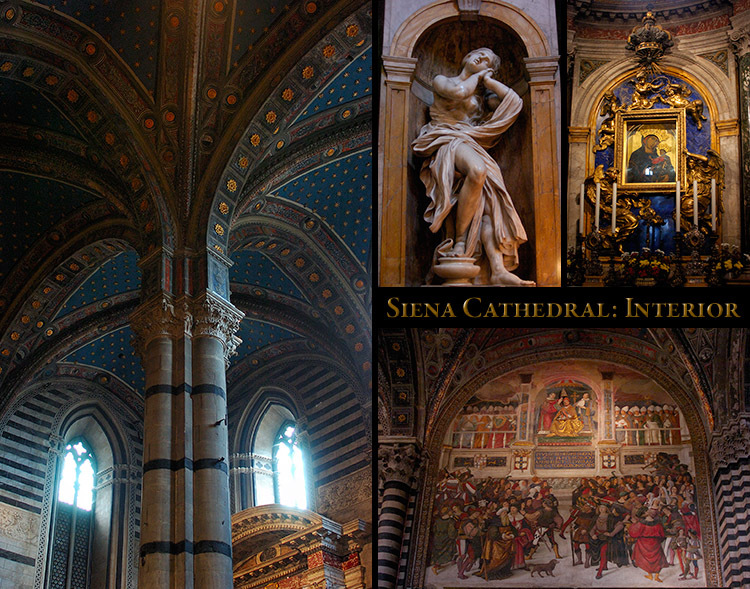 The Banner below leads to the Siena Collections page where a Gallery can be selected. 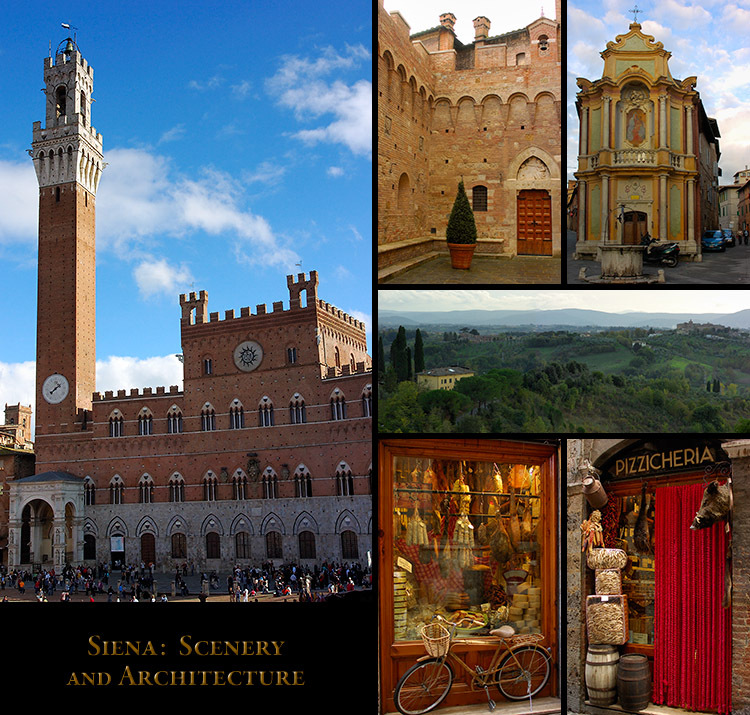 palazzos and piazzas in the south and central contrades of Siena are on this page. 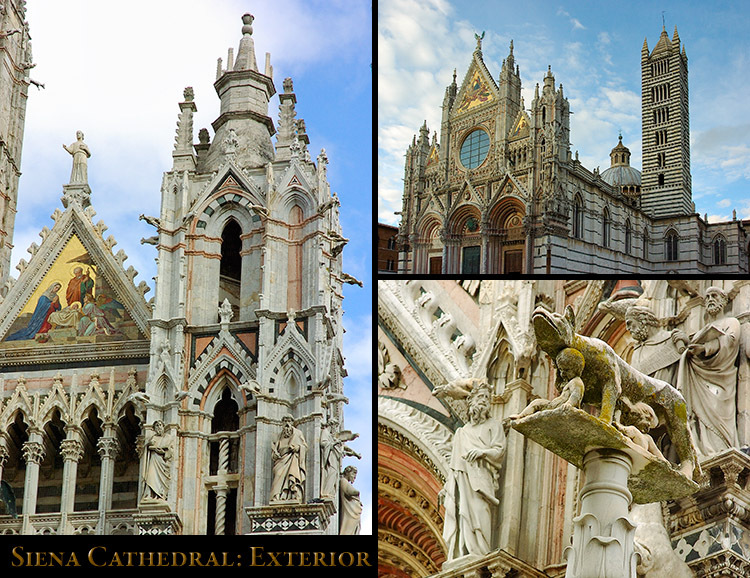 The exterior of the Cathedral of Siena is a superb example of Italian Romanesque-Gothic architecture. detailing the exterior architecture and facade sculptures of the Cathedral of Santa Maria Assunta. illustrating some of the architecture and artwork of Santa Maria Assunta, the Cathedral of Siena. 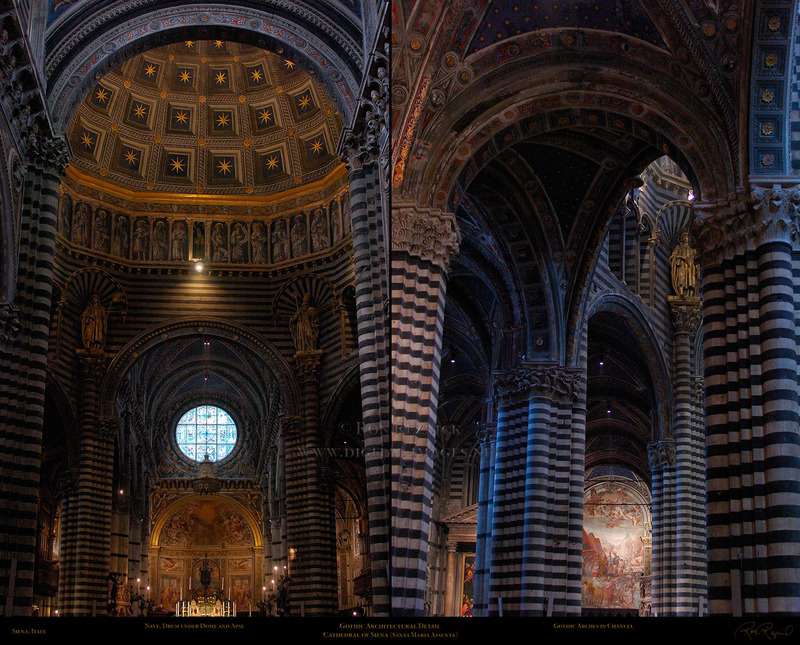 of Siena Cathedral on the left, and the Gothic arches of the Chancel on the right.